Keeping multiple versions of the same lure in the same color is very important, it isn't hard to loose lures, and having an exact back-up can be a fishing trip saver! Ripping, jerking, pulling retrieves all have their time and place with different lures under different conditions with different species and it can change as light levels, water clarity and temperature, and fish aggression levels change during the day. Some lures are pure jerk or rip baits and others have more roll, or wobble and have characteristics of jerk and crank baits and can be used both ways during the same retrieve to attract fish and then trigger a strike. Some lures requires a lot of energy and effort to work them and other have more subtle less aggressive actions. In general I find smallmouths and walleyes like more kick and wobble and trout and largemouth like a more controlled kick and roll, but it depends on the fish's mood. With the cadence and timing you can let the fish tell you what the want. It can range from small subtle twitches to hard pulls and jerks depending on the lure's action and the fish's attitude. Weight transfer systems enable you to cast further, more accurately, and cover more areas. Most of these lures suspend, but some are slow floaters, slow sinkers and fast sinkers and they are they all have their place and applications. Flat bodied and round bodied lures have a different actions. I find that square lipped rounder bodied lures have more kick and wobble. 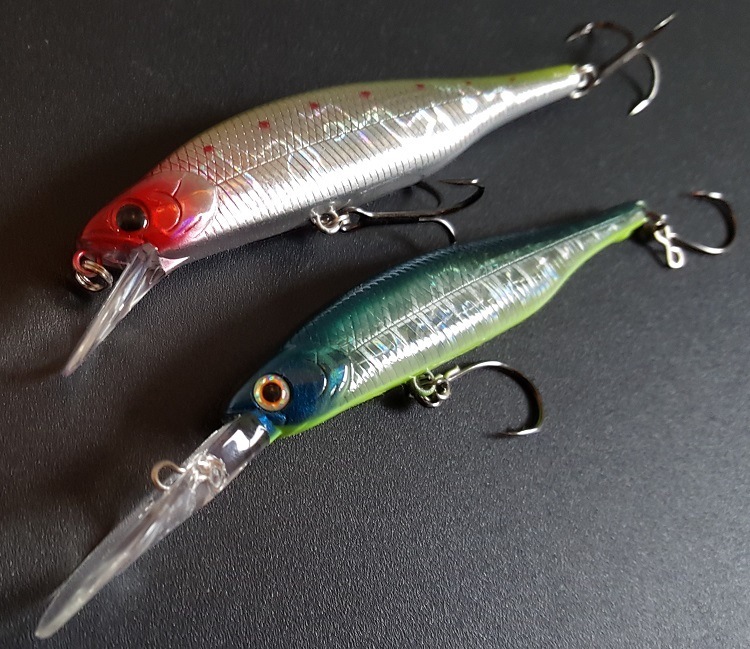 Flat bodies with round lips have more roll and less kick, but you can find all kinds of lures with different combinations of body and lip shapes. 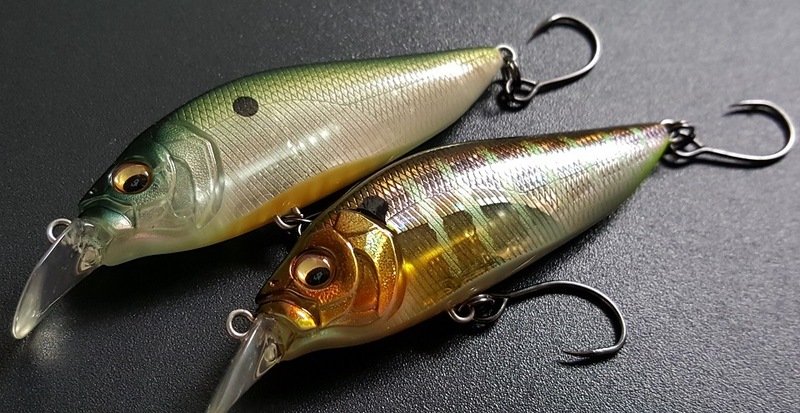 I generally try to match the hatch with gold and silver bait fish finishes in rivers and shad or bluegill and perch finishes in lakes, but there are times when subtle finishes work as well. Size and lure profiles can also be important. Folks who fish with me know I like bright foil metallic finishes for rivers, but they are hard to find because most largemouth fisherman prefer more subtle finishes. With all these choices it helps to fish with a buddy, so you can dial in an action, lure and finish more quickly. With experience you will find your favorites for various species, but the good news is that many of the more popular ones work for a number of species under various conditions depending on how you work them. 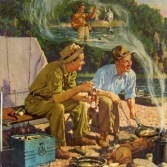 If you look at Lucky Craft as an example: the Pointers, Slender Pointers, Flash Pointers, Spaz Minnows and Flash Minnows all have slightly different body, lip, and profile shapes. Different sizes also have their own unique profiles and actions. Their weighting systems, body shapes, and lips determine how well the cast and how the pivot/kick and roll or wobble when they are jerked, twitched, or pulled. If you retrieve them in clear water you can see what you have to do to get them to work. Pure Jerk Baits simply kick, while other can do different things with different retrieves. With a sensitive rod and braid or fluorocarbon you can develop a feel when they are working right. 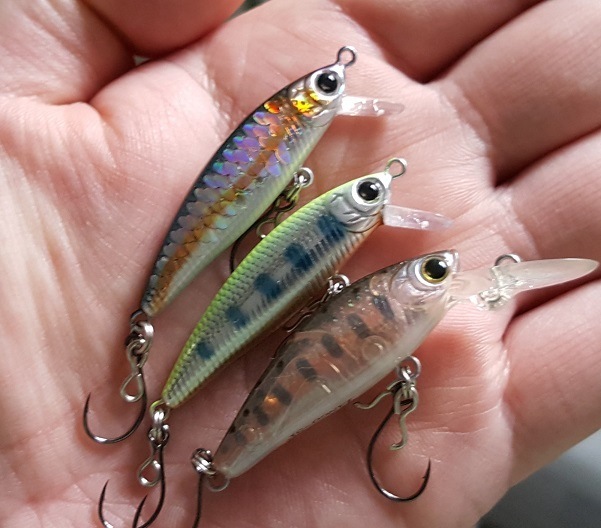 Figure I'll resurrect this thread since I just received my latest package of finesse jerkbaits from japan, would really like Jay/Scoob/anyone with experience chime in. My freshwater fishing is limited...but I'm obsessed with jerkbaits, I don't know why! Looking at the Duo Minnow 80SPs as well. 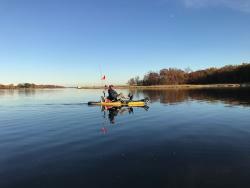 I'm mainly looking for baits to target smallies in northern NJ reservoirs/lakes, and possibly rivers. If anything is esp good at double duty for trout, even better. Are there any "must have" lures I'm missing? Must have colors? Jay, if you care to elaborate on what baits work well as both jerk and crankbaits, that would be greatly appreciated...from what I see on youtube, the rather rotund Duo Rozantes look to have great rolling swimming action. 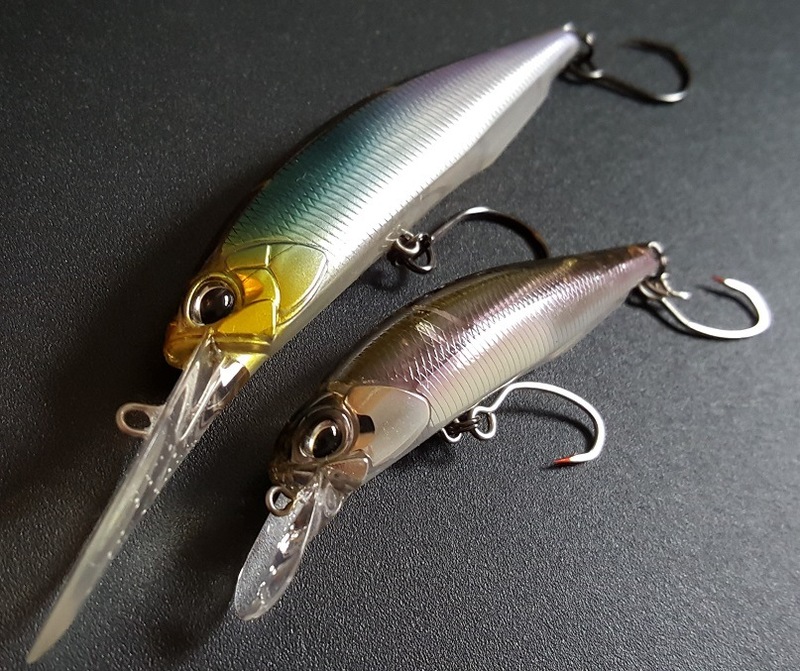 Also picked up a couple of Megabass Flap Slap LBOs for no reason other than they looked pretty cool and if I can't fish I'm buying tackle online...anyone thrown these? The originals were floaters, the LBOs suspend. 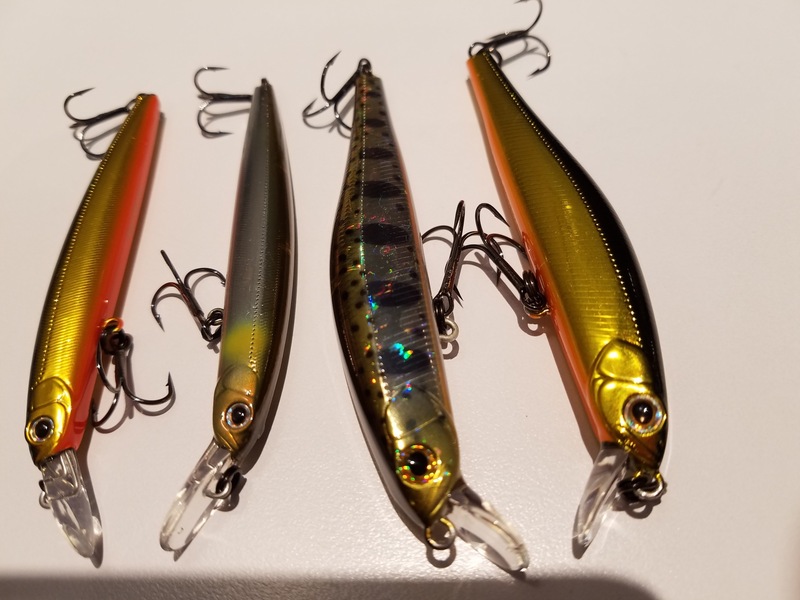 Those are some really nice lures Jerk/Crankbaits. If you are targeting smallmouths, larger trout, and walleyes I would add the pointer minnow 78s &100s, Duo Minnow 80 and 100sp, and slender pointer 90's. I tried the LC staysee pointers in Canada this year and they worked great for walleyes, smallmouth, and smaller pike. I am not a big fan of the Rozante because they are not as stable in currents or on high speed retrieves as the Duo Minnows. The Duo 80sp in gold and silver holographic finishes are hard to find and deadly on trout, walleyes, and smallmouth. I personally like anything flashy like sliver, gold, scale, and holographic finishes. Some more recent acquisitions in 80 and 90mm sizes with magnetic weight transfer systems that make them great for casting distance and accuracy. Thanks Jay, appreciate the info! I'll be on the hunt for some of your suggestions...what lures are in the photo?